CGCC Hosted “China-U.S. 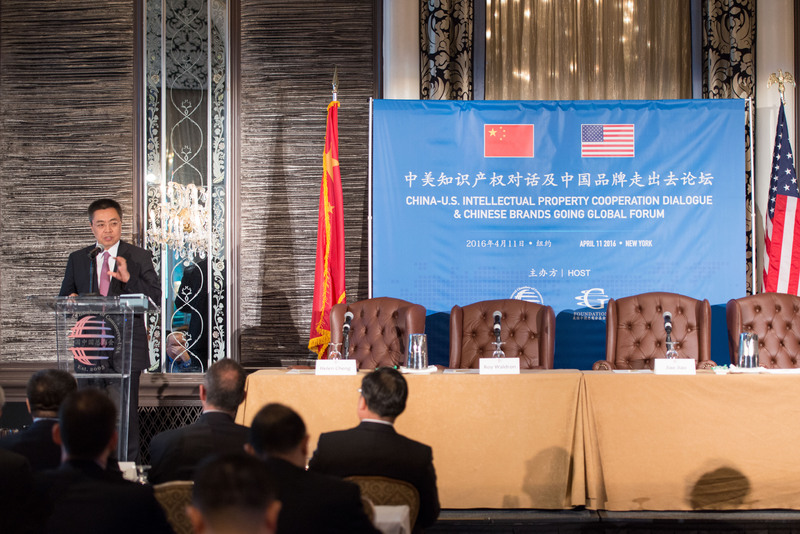 Intellectual Property Cooperation Dialogue & Chinese Brands Going Global Forum” - China General Chamber of Commerce - U.S.A.
Monday, April 11, 2016, China General Chamber of Commerce – U.S.A. (CGCC) and CGCC Foundation held China-U.S. 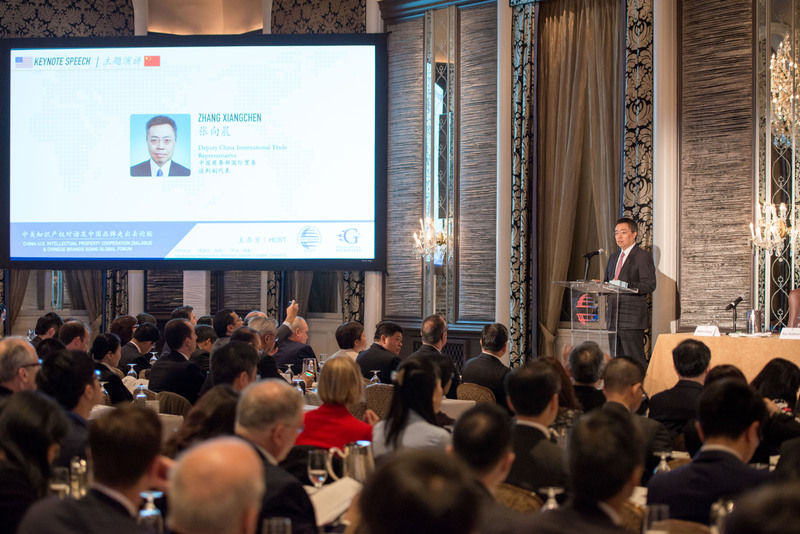 Intellectual Property Cooperation Dialogue & Chinese Brands Going Global Forum at the Waldorf Astoria in New York, attended by more than 250 Chinese and American business executives, lawyers, and government officials. 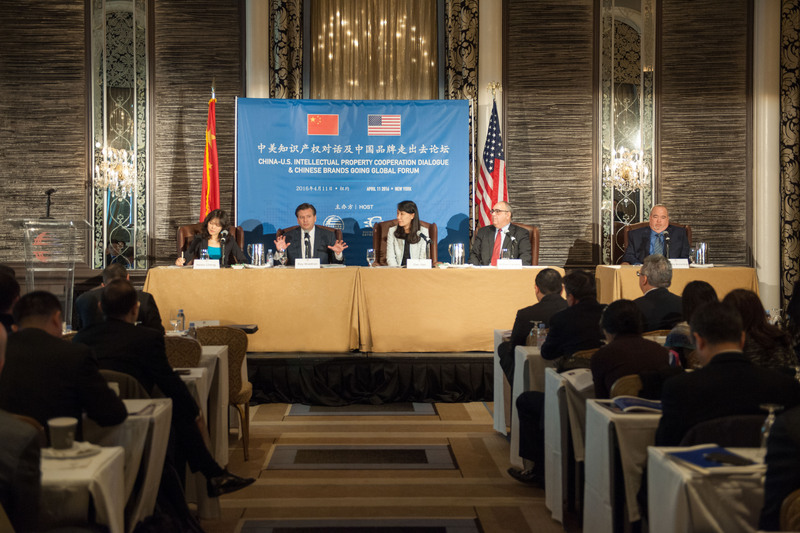 The forum was hosted by Xu Chen, Chairman of CGCC and President & CEO of Bank of China USA. 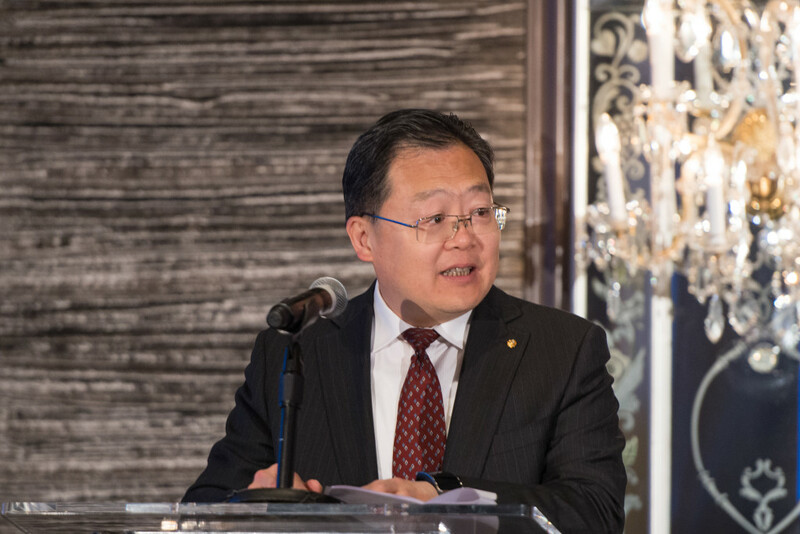 Zhang Qiyue, Consul General of the People’s Republic of China in New York, and Patrick Santillo, Deputy Assistant Secretary of Commerce for China at the U.S. Department of Commerce, delivered opening remarks. 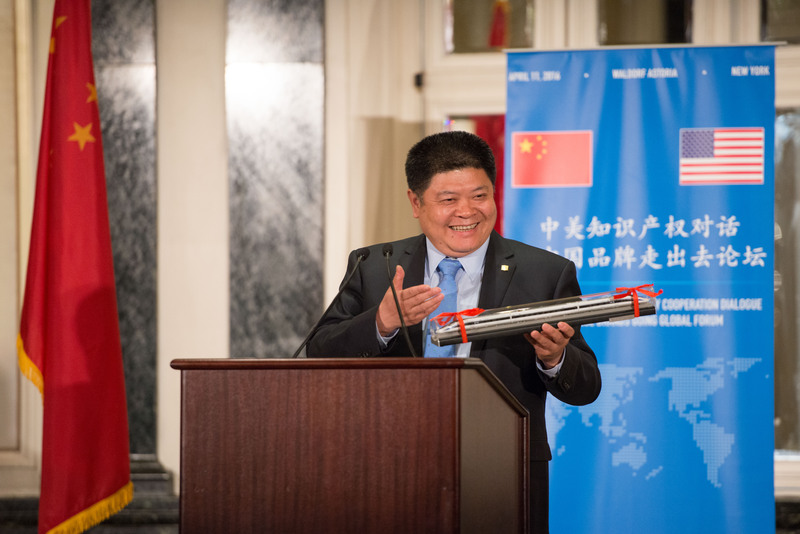 Deputy China International Trade Representative, Zhang Xiangchen, gave the keynote speech. In the following discussions, the panelists exchanged their insights on the latest developments in Intellectual Property (IP) protection in China and the U.S. and global branding strategies of Chinese companies. On behalf of CGCC, Chairman Xu delivered opening remark and said, “China’s ‘new-normal’ economy is moving towards technological innovation and consumer spending. And, protecting intellectual property rights has become one of the largest challenges faced by Chinese multinational corporations.” He pointed out the major IP-related problems faced by Chinese companies in the U.S., “many Chinese companies lack experience in managing complex IP-related businesses, and a clear understanding of the vast and complex U.S. intellectual property legal framework, which can lead to challenges in the daily operation of their businesses in the U.S.”, he also stressed that dialogue and cooperation on IP issues between both governments will transform IP-related challenges into advantages for both Chinese and U.S. companies. Patrick Santillo summarized during his opening remark on common issues when companies investing abroad. He suggested that “an open and fair investment environment” and “an improved IP protection system” are very important. He then added that constructive dialogues between businesses and governments from both countries are also imperative in understanding the legal system and implementation of IP regulations. The keynote speech was followed by two panel discussions. In the first panel discussion of “New Development of Intellectual Property Rights in China and U.S.” moderated by Timothy Browning (Consul, IPR Officer of U.S. Patent and Trademark Office at U.S. Consulate General in Guangzhou), the panelists discussed the latest developments in IP protection in China and the U.S., and the latest challenges in areas such as e-commerce, cross-border enforcement and collaboration, information technology, and pharmaceuticals. According to Jiao Jiao, the Head of JD’s Legal Department, e-commerce enterprises should take the initiative to protect intellectual property. To achieve it, e-commerce companies should strictly examine the qualifications of online vendors and deliver a high standard of quality controls, which also contributes to protecting its consumers’ rights. 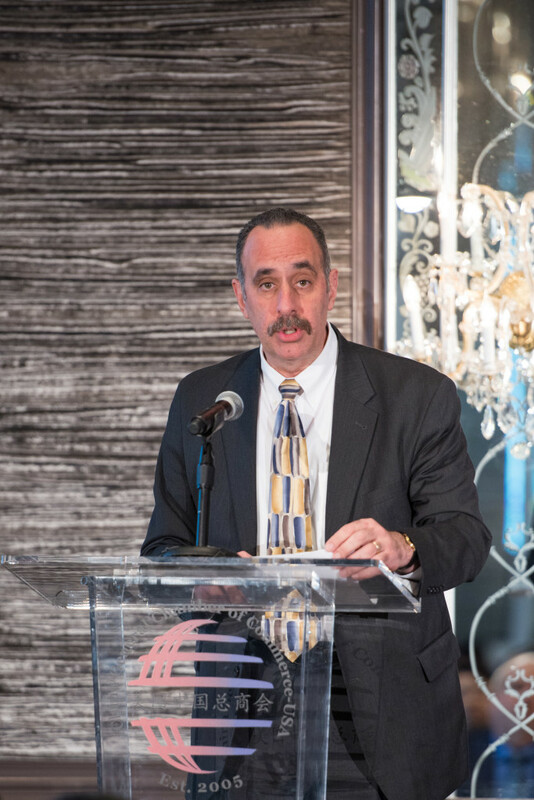 Chief IP Counsel of Pfizer, Roy Waldron, pointed out that the differences of legal systems have led to challenges in protecting intellectual property rights at their cross-border businesses. Such differences require China and U.S. legislation and implementing agencies to expand bilateral coordination and collaboration. 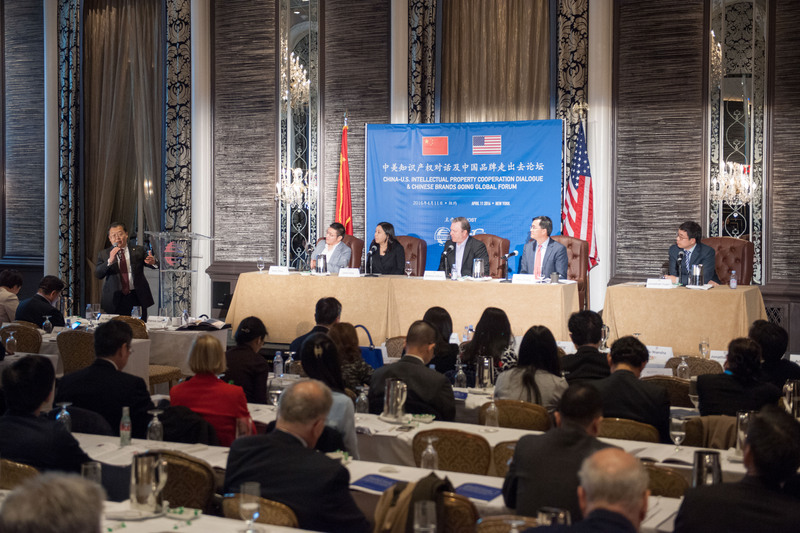 Panelists concluded that constructive dialogues between companies and between the governments are essential to improve the efficiency in solving IP-related issues for Chinese enterprises in the United States. Jonathan Z. Yuan (International Partner of King & Wood Mallesons) moderated the second panel discussion “Innovative Strategies in Corporate Global Branding”, panelists shared their ideas and experiences in utilizing intellectual property to strengthen company’s competitiveness and developing innovative marketing channels with a focus on e-commerce. Adair Zhou, the Head of Intellectual Property of DJI, shared DJI’s experience in doing research and development in the U.S. market, emphasizing that its success is not only based on the good performance of its technological advantages, but also its strong investment in technological innovation. Andrew Elliot, the Senior Vice President of ZTE USA in strategic marketing, shared ZTE’s marketing experience from the consumer relationship building perspective. He recognized the importance of quality and brand in winning consumers’ confidence. Panelists believed that in the process of going global, Chinese enterprises need to not only enhance the intellectual property awareness and understanding of the legal system, but also cultivate more innovative talents and nurture greater innovation strength with their advantages in the domestic and international market. 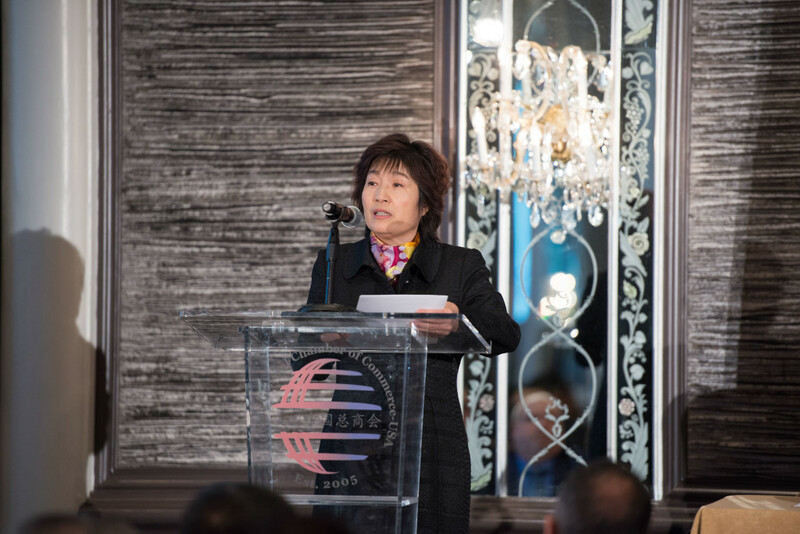 On the following networking lunch, Yu Weiping, Vice President of CRRC, shared with the audience the history of CRRC’s business development in the U.S. market. According to Mr. Yu, CRRC’s success is due to the company’s strong competitiveness, good customer service, and corporate social responsibility. In the end, he called for all Chinese and U.S. companies to work together on reconciling the Chinese Dreams and American Dreams, and to benefit the people of both countries. After the forum, participants reflected that it provided a timely opportunity to develop a more comprehensive understanding of intellectual property protection in both countries. 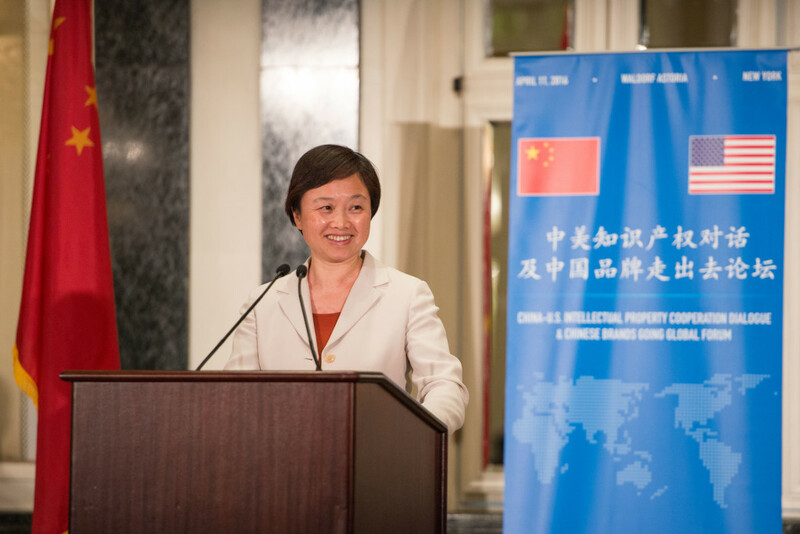 More importantly, it encourages Chinese business executives to think about further concrete steps to improve IP management and to adapt to the IP legal system in the U.S.
During the 26th U.S.-China Joint Commission on Commerce and Trade (JCCT) meeting in November 2015, both countries recognized the key role that intellectual property protection plays in bilateral trade and economic relations, and agreed that there is ample room for improvement on bilateral cooperation. Both countries agreed to continue the efforts towards achieving this endeavor. China-U.S. Intellectual Property Cooperation Dialogue & Chinese Brands Going Global Forum is one of CGCC’s efforts to promote China-U.S. cooperation and communication on IP issues. CGCC devotes to helping Chinese companies in the U.S. improve their business and operation in the related fields. The forum was supported by CGCC’s valuable partners. They are Zhong Lun Law Firm, EY, King & Wood Mallesons, Morrison & Foerster, JD, Pfizer, Metlife, and CSI globalVCard.